They have asked for 5th - 7th graders. We can fudge on this a LITTLE bit but don't get too carried away. This is limited to a group of 25. Please do not sign up and then not attend. If you do not attend, you are taking someone else's spot who could have attended. RSVP to Deb Spradlin at everestacademy1@gmail.com by 3:00 p.m. on Feb. 16, 2018. When you email, please include your contact info (email and cell) and number of children attending. Children must be accompanied by a responsible adult. The students visit 5 stations inside the Boutwell Auditorium and 5 outside in Linn Park during the course of the day. They eat a picnic lunch (bring your own) between the inside and outside sessions and remain together as a group throughout the event. 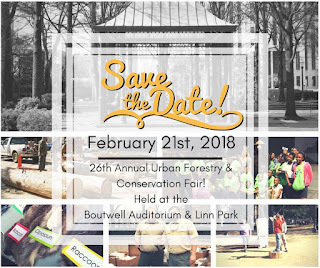 Hosted at the Boutwell Auditorium and Linn Park since 1992, the fair brings 24 classes of students from round the county to learn the components of their unique urban environment. This is often the first exposure children receive about ecosystems and forests in their immediate vicinity. We focus on the fact that students can aﬀect and enjoy both an urban environment and a “wild” one. Hands-on activities provided include, but are not limited to: The Benefits of Trees, Skins and Skulls, Tree Cookies, Water Jeopardy, Portable Sawmill, Alabama Animals, Vermiculture, Wildlife Relay, Build a Tree, Wood or Not?, Orienteering, Soil Babies, Tree ID, Forest Products, and Tree Planting Demonstration. There is also a public tree seedling give-away in the center of Linn Park. Frequently, conservation education presents examples of the natural world that looks nothing like urban children’s everyday surroundings. 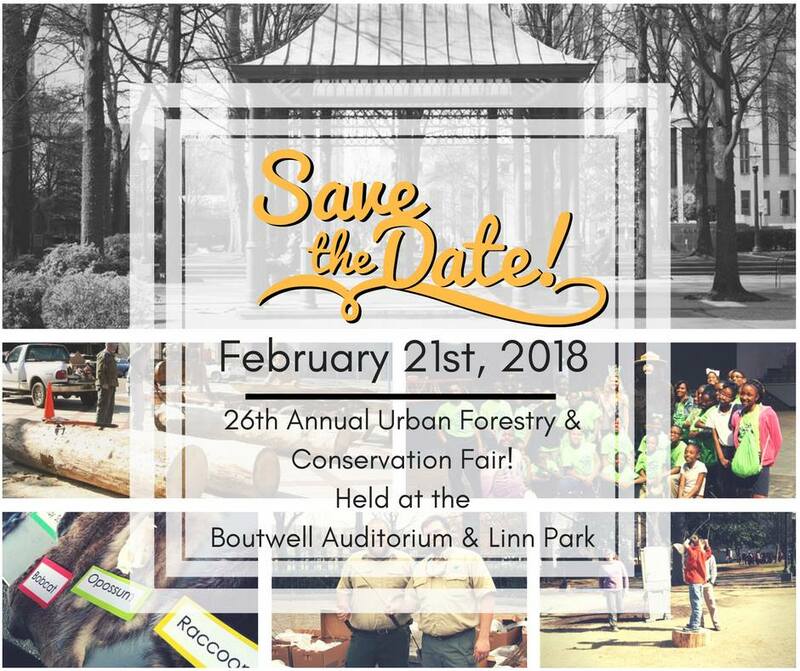 With the Urban Forestry and Conservation Fair, it is the opposite. The Fair brings examples of forestry and conservation to the students using their own surroundings. The activity stations inside Boutwell Auditorium and outside in Linn Park teach the children about an aspect of their world which many have never even considered before. We currently invite fifth grade students to this event. Birds and Worms – students learn about the importance of camouflage for prey animals by acting as birds searching for multi-colored pasta “worms”. Graphs and charts are constructed to show the numbers of worms found by color. Oh Deer! – In this activity, students learn about carrying capacity and animals’ need for food, shelter, and water through a game of tag where NOT getting what you need results in you becoming a part of the environment (the animal population decreases while the resources available increase).